This page contains information for current residents of the Village, including payment information, monthly calendars. Please note, the calendar is subject to change. 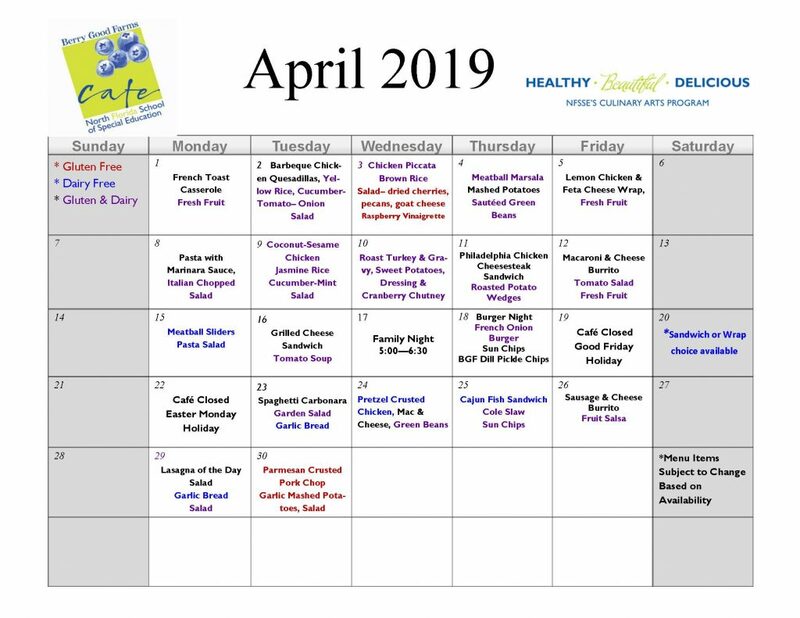 Weekly calendars are available on the flyer board in the community center. All activities on the calendar are for residents receiving Level I, II and auxiliary services. The above Village Activities calendar is interactive. Click on the blue arrows to view different months and the names of activities to view more information. To register for activities, visit the Eventbrite site or contact Wanda Cribbs at: wcribbs@arcjacksonville.org or 904.721.5063 ext. 502. Berry Good Farms Café provides dinner service Monday through Friday from 5:00pm – 6:30pm for $6 per meal. Meal plans are available for purchase at a discounted rate. Meal tickets and meal plans can be purchased during the week during dinner service. Check: Checks can be mailed to The Arc Jacksonville Village or dropped off at the community center at The Village. Credit Card: Contact The Arc Jacksonville’s Finance Department to pay via credit card or to set up recurring monthly payments at 904.355.0155. There will be a 2.86% fee added to your charge. Check: Checks can be mailed to The Arc Jacksonville Downtown at 1050 North Davis Street, Jacksonville, FL 32209. Checks should be mailed one week before they are due to ensure timely delivery.